China's corn starch industry has developed rapidly in recent years, a trend that is likely to go on in 2018. However, importers of Chinese corn starch have to expect lesser volume and higher prices in the next months, due to the high domestic demand for starch sugar. In the middle of December 2017, China’s corn starch prices ended the surge of previous months and stabilised on a high level. Market intelligence firm CCM predicts that the price will continue to rise in the near future due to the increasing demand, both domestically and overseas. At present, China’s corn starch production capacity witnesses a significant growth, and more enterprises have announced to continue. According to CCM’s research, the country's corn starch capacity was as big as 40 million t/a in 2017. Following the current trend, the production capacity is very likely to continue the growing trend in 2018. China implemented the subsidy policy for corn in previous years to make use of the large corn reserves the country has gathered in the last decades. Higher profits from corn starch have motivated enterprises to build and expand corn starch production lines. China’s demand for cornstarch is also growing at a double-digit value. After all, a significant rise comes from the domestic starch sugar sector. Other important downstream sectors for cornstarch are pharmaceuticals and modified starch. 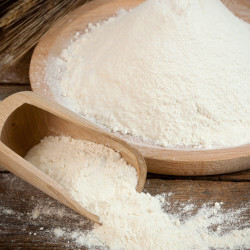 Especially the surge in demand for starch sugar is driving the cornstarch market up. Official numbers are showing, that the demand for starch sugar in China is growing by more than one-fifth. China’s boost in sugar prices is the main driver for booming starch sugar demand as a cheaper replacement for the sweetening effect. According to official Customs data, China’s exports of cornstarch in surged by about 150% YoY in the first three quarters of 2017, compared to the same period in the previous year. However, in the next few months, importers of Chinese corn starch can expect lesser volume, as the material will be used mainly in the domestic market as raw material for starch sugar to prepare for the surging demand for food and beverages around the Chinese New Year festival. Hence, less cornstarch will be exported to overseas markets. In the meanwhile, it is expected that the corn price in China will remain high because of government subsidies to corn purchase as well as increasing demand for corn nationwide. As a result of the higher ex-works price together with a stable demand, the export price of cornstarch will continue to rise further in the near future. The overall increase in China's export price of corn starch from July to October mainly resulted from its basically rising ex-works price during this period. This is because China's 4th round of rigorous environmental inspections kicked off at the beginning of Aug. Altogether 8 environmental inspection teams were sent by the central government to important corn planting areas for environmental inspections. As the domestic industry of corn deep processing is subject to the inspections, the supply of cornstarch has declined since then. Consequently, the domestic ex-works price of cornstarch has been in an uptrend. According to CCM’s research, there have been four main factors that benefitted the development of the industry in China. First of all, the cornstarch cost decreased along with falling corn prices. It is a fact, that the highest cost factor of corn deep processing is the raw material cost for corn. When the corn price drops in the market, the cost of sales for corn deep-processing enterprises falls alongside. The second decisive factor can be seen in governmental subsidies. In November 2016, the Chinese Government announced that the qualified corn deep processing enterprises in some selected provinces would receive subsidies from the government for the corn purchased. Those beneficial subsidies are encouraging many manufacturers to use the full potential of their corn starch production lines. Furthermore, due to dropping prices of corn in previous years, the raw material, domestic corn starch enterprises, witnessed a continued increase in profits. Finally, many market players experienced a much better export performance for their products in 2016. China's export volume of cornstarch increased to a high degree, mainly owing to the further drop and better advantage in corn price. The prices of domestic corn and cornstarch shared almost the same changing trend. Most of the corn starch in China is consumed by the domestic market, despite its larger export volume, with the biggest share taken up by starch sugar processing. According to official statistics, 60.71% and 6.19% of the domestic corn starch were used to produce starch sugar and modified starch respectively in 2016. 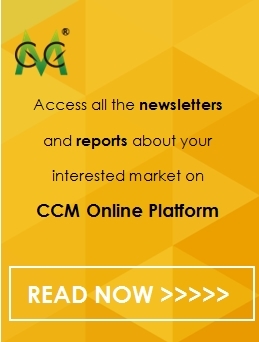 Get monthly premium insights in China’s corn and corn products market by subscribing CCM’s Newsletter, including information on market trends, company dynamics, policy changes, import and export analysis, and any other newsworthy story about China’s corn market. Join the discussion about China’s food and feed market and find people from the same industry in our LinkedIn Group or Facebook group.